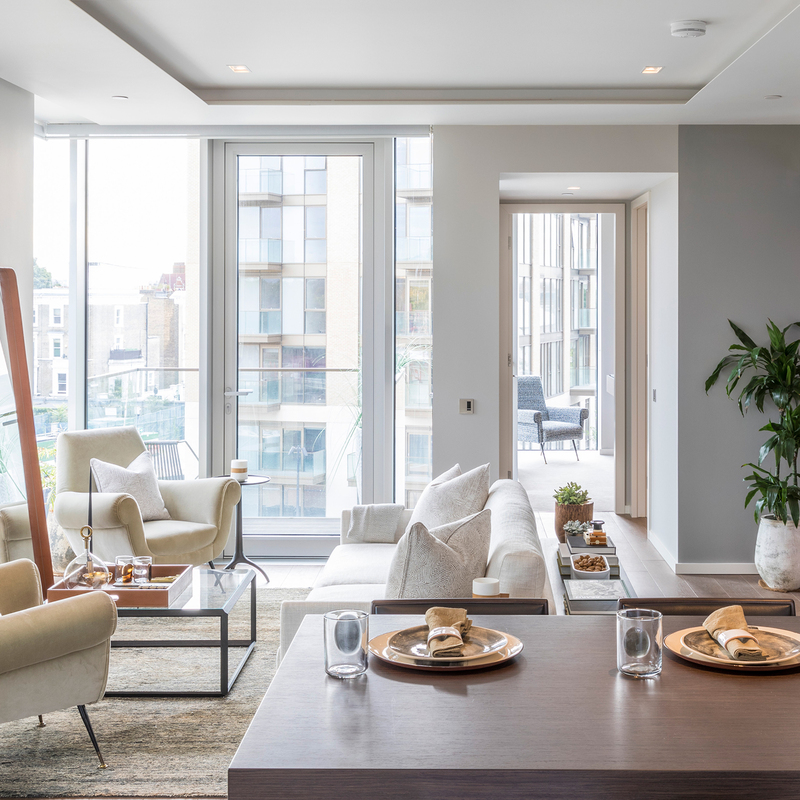 This Autumn, Capco and KFI will open the doors to a new penthouse and a beautifully designed show home at Lillie Square, a landmark new development in Earls Court. 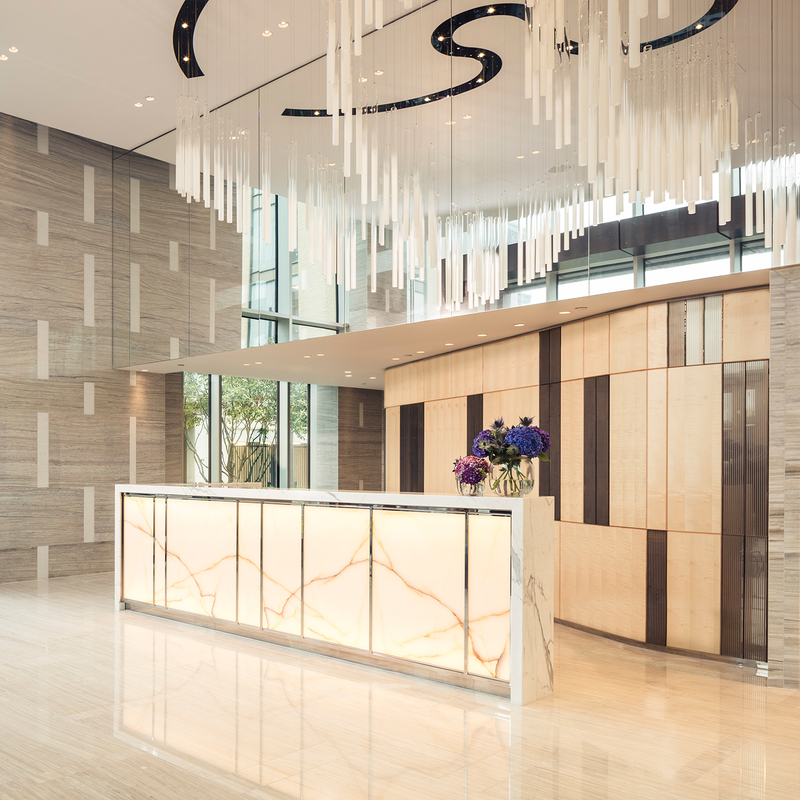 The new launch follows the opening of the Residents’ Clubhouse late last year and provides the latest opportunity to experience life at London’s newest garden square address. The three-bedroom penthouse, located at the top of One Lillie Square, offers 2,562 square feet of living space spread across the 14th and 15th floors with an expansive roof terrace on the 16th floor boasting impressive views of London’s famous landmarks including The Shard and the Millennium Wheel. Residents will also have vistas of the development’s principle garden square which has been designed by award winning landscaper Andy Sturgeon. The new penthouse is accompanied by a new contemporary show apartment on the 13th floor of One Lillie Square. 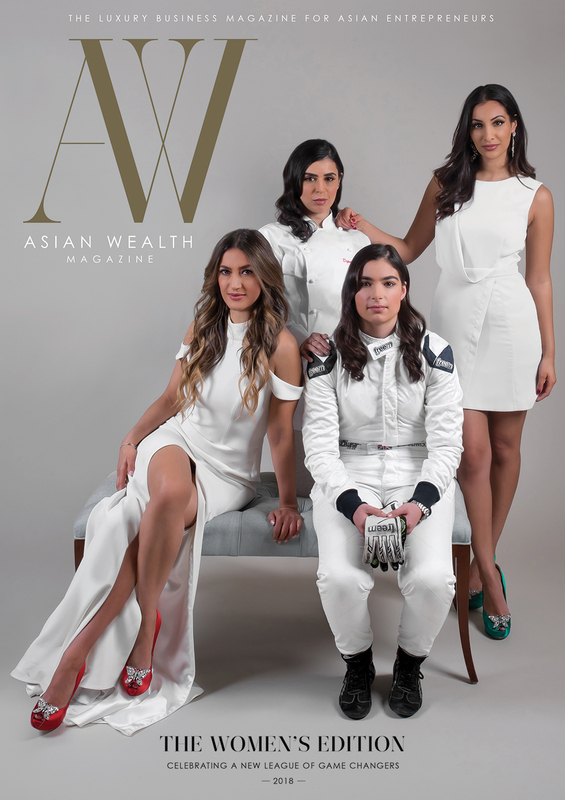 The beautifully designed home boasts soft greys and dark wood features alongside hints of burnt orange and rich blues, while organic shapes, including a curved-back sofa and rounded side tables in Carrara marble, contrast with modern metallic finishes. 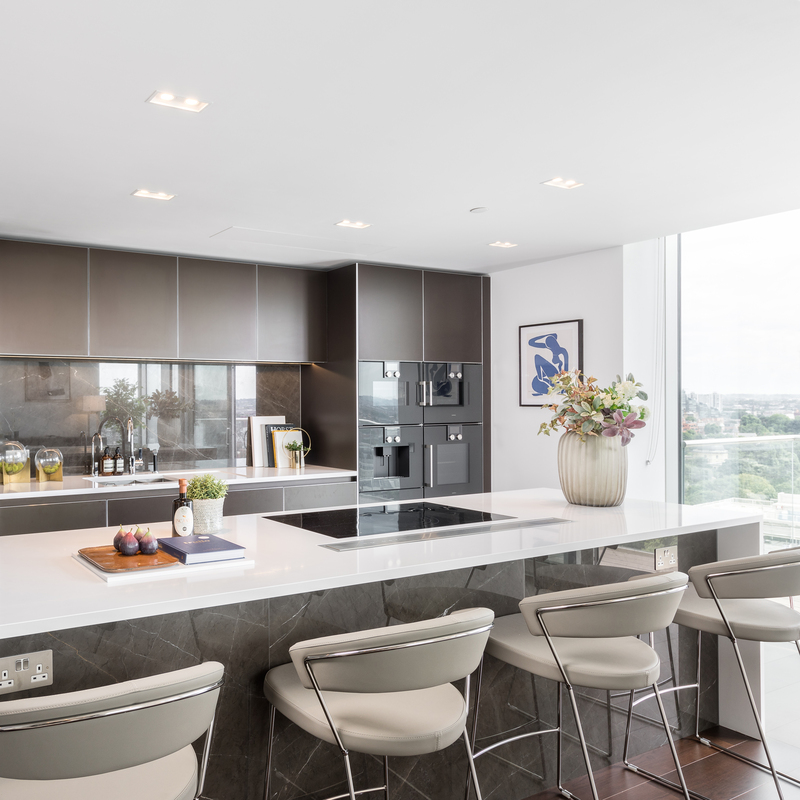 With interior architecture by United Design Studio, the open plan kitchen, and dining space in the penthouse connects naturally to the living spaces and is thoughtfully designed as much for entertaining as for relaxation, flooded with natural light from the floor-to-ceiling glazing. A Bulthaup kitchen with Gaggenau appliances and contemporary timber flooring provide both style and function. The spacious master suite offers a tranquil retreat with an en-suite bathroom and dressing room. The neighbouring study is a haven for inspiration with beautiful views over the London skyline. A balcony completes the generous reception space on the 15th floor and provides much-desired outdoor space. Completing the luxurious city living space is the 16th floor rooftop terrace with outdoor dining and lounge furniture. 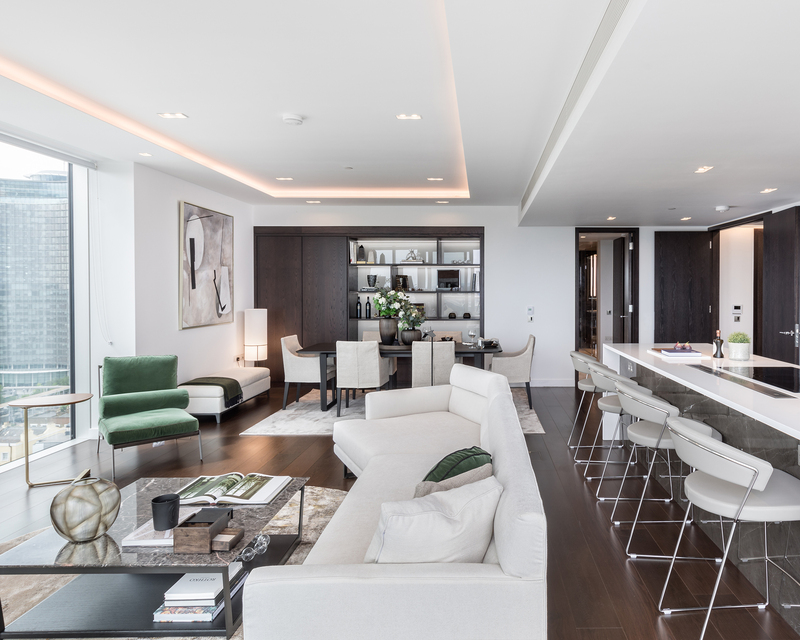 Providing the best of apartment living, both residences incorporate the generous proportions and high ceilings that characterise West London’s iconic mansion block architecture. These classic Georgian and Victorian design principles seamlessly blend with 21st century luxuries including comfort cooling, underfloor heating and energy efficient lighting. Residents at Lillie Square enjoy an expansive 18,000 sq. ft. Clubhouse, designed to rival the world’s finest five-star hotels. 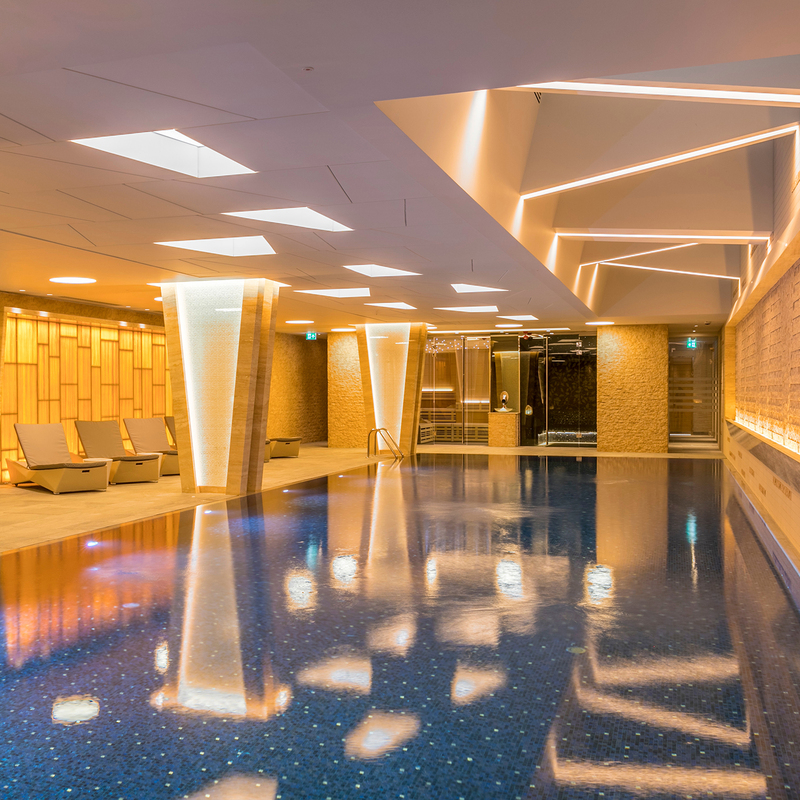 The Clubhouse is home to an impressive range of lifestyle, health and wellbeing facilities, including a 20-metre swimming pool and deluxe health spa, complete with sauna, steam room and Jacuzzi spa pool, state-of-the-art gym with studio space, two treatment rooms and a relaxation room. Ideal for entertaining, Clubhouse facilities also incorporate a private dining room with feature wine storage, residents’ lounge, children’s playroom and coffee bar. As part of the world-class service offering, residents benefit from a unique lifestyle pass, incorporating a curated a range of partnerships with a host of the world’s most prestigious brands, including the iconic London retail destination, Selfridges, fine wine merchant, Berry Bros. & Rudd, and luxury beauty brand, ESPA. The first chapter of the Earls Court masterplan – one of the most important development opportunities in London – Lillie Square represents the first chance to be a part of a new district for London. Over half of the development is dedicated to open space designed by award-winning landscape designer, Andy Sturgeon, at the heart of which is a new garden square for west London. 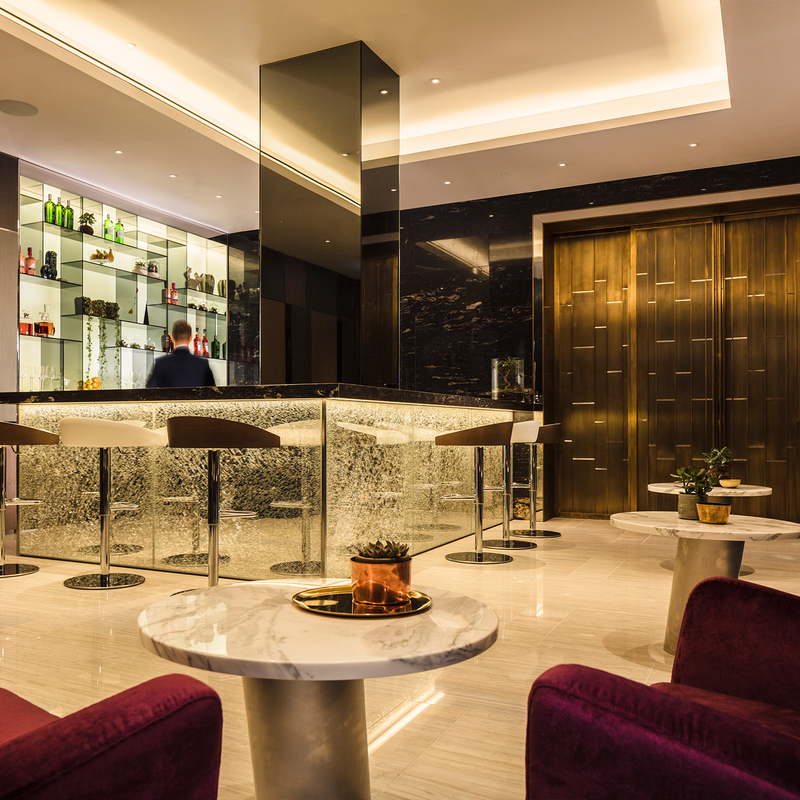 Neighbouring the capital’s most prestigious and desirable districts – Kensington, Chelsea and Fulham – Lillie Square is well-positioned to enjoy everything the capital has to offer. Located at the centre of a public transport network, with three stations (Zone 1 and 2) on its doorstep, residents can access Knightsbridge in just 9 minutes, Victoria in 12 minutes, and Heathrow, Liverpool Street and Canary Wharf all in approximately 35 minutes. 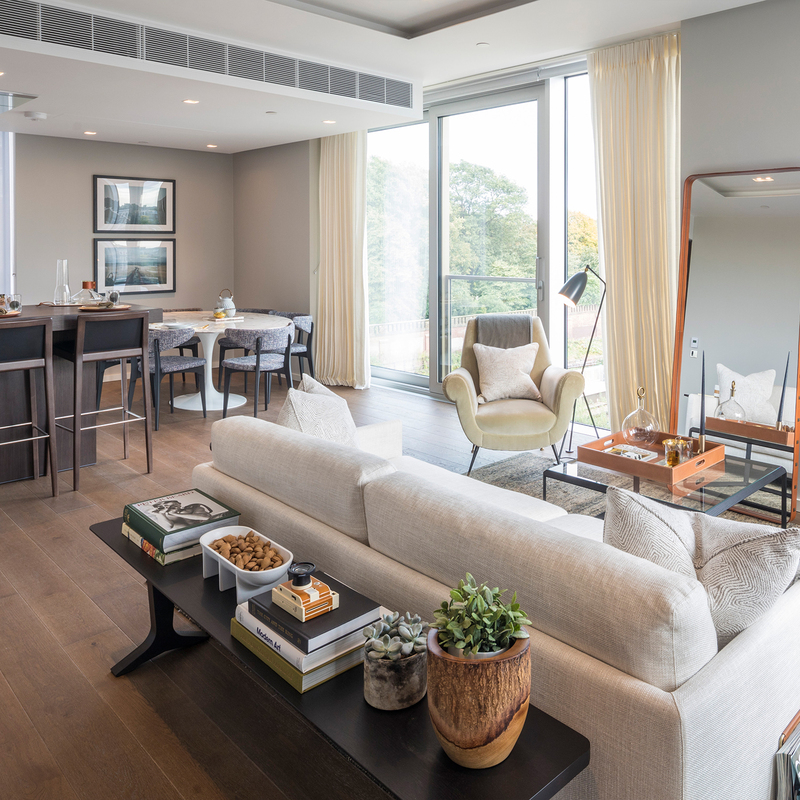 Prices at Lillie Square start from £820,000 with the penthouse on sale for £8.9 million. Phase One completions are underway and completions for Phase Two are scheduled for 2020. 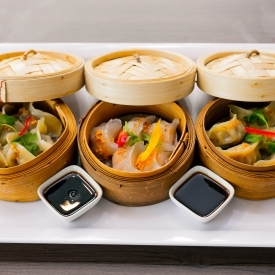 For further information, please visit the website www.lilliesquare.com or contact the Lillie Square marketing suite on +44 (0)20 7381 9800.